On April 20, 1999, Eric Harris and Dylan Klebold walked into Columbine High School in Littleton, Colorado. Over the course of minutes, they would kill 12 students and a teacher and wound 24 others before taking their own lives. 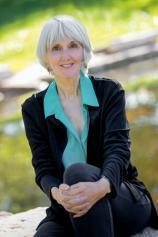 For the last 16 years, Sue Klebold, Dylan’s mother, has lived with the indescribable grief and shame of that day. In A MOTHER’S RECKONING, she chronicles with unflinching honesty her journey as a mother trying to come to terms with the incomprehensible.